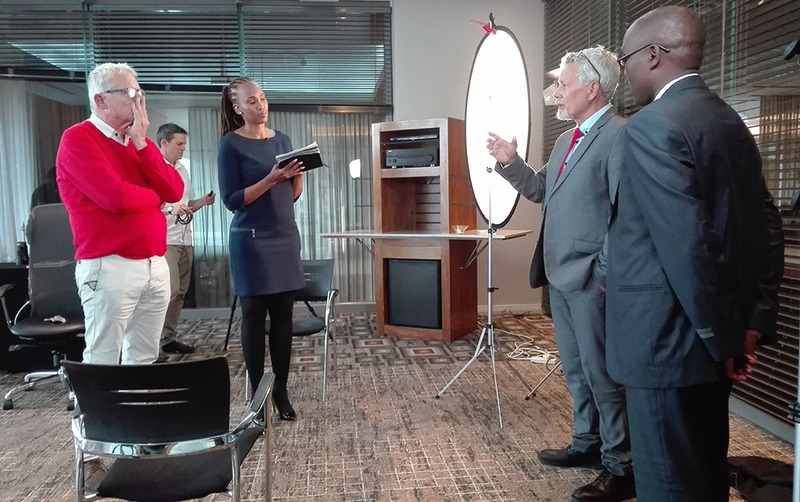 Asgardia’s Parliament Chairman Lembit Opik visited South Africa last month to verify the identities of South African Members of Parliament (MPs), interact with the local Asgardian community. The visit earned recognition from South African media. Ms. Mawisa’s report covered the Nation’s short-term and long-term goals, its satellite, Head of Nation Dr. Igor Ashurbeyli’s inauguration and much more. Ben Dell, MP and the Chair of Asgardia’s Citizenship Committee, told Ms. Mawisa in an interview: “We’re trying a new nation like never before. No one has ever built a Nation from scratch”. Given South Africa’s turbulent history, it is a great place for Asgardia to find people who are interested in its unified, humanitarian goals that adhere to its “One Humanity – One Unity” slogan. “[Asgardia’s] got to be a role model for how Nations should behave here on Earth”, Mr. Opik said. He noted that Asgardians are united by their goal of protecting the human race. “We currently have people from all over the world that choose to be part of Asgardia and they give of themselves for the future of mankind. It is important to note that these people are not all privileged, fortunate or ‘special’ by any stretch, just dedicated to the common Asgardian goals and values...Asgardia's strength comes from our diversity in the humanity that makes up the citizens of Asgardia”. What’s most important, he wrote, is citizen involvement. “Building a new Nation is a constructive process of engaging all citizens in building social cohesion and economic prosperity”. He also emphasized that the youth of today are the leaders of tomorrow. MP Ben Dell wth Ms. Mawisa. The reception of Asgardians in South Africa has been warm and welcoming, and is one of many steps Asgardia is taking to achieve global recognition in both the private and the public sector. Ms. Mawisa concluded in her segment: “[Asgardia] is the first legitimate attempt to create an independent Nation in space”. Mr. Dell added, “I believe we can build a Nation here that will benefit future humanity for all times to come”.